NOTE FROM MIKE: They asked me to share my view of Milwaukee. With respect, I flipped the script. 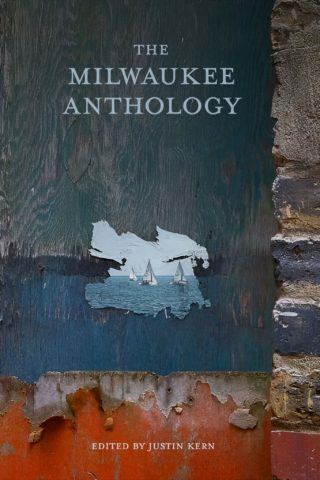 The Milwaukee Anthology, including the piece Mandela’s Milwaukee by Michael Perry, is now available for pre-order here. The Milwaukee Anthology, Edited by Justin Kern, is a book on hope and hurt in one of America’s toughest ZIP codes. In these pages are the stories of a Grecian basketball superstar in the making against an unlikely backdrop; of Sikh temple services that carry on after one of America’s most notorious mass shootings; of an astronaut’s wish for kids in the same school halls where he formed a dream of space. You won’t find Summerfest or Laverne and Shirley herein, but you will find Riverwest, Sherman Park, and the South Side; Hmong New Year’s shows, 7 Mile Fair, and the Rolling Mill commemoration. Edited by Justin Kern, with personal essays, narratives, poems, Q&As, and art from more than 50 contributors including Dasha Kelly, Pardeep Kaleka, and Michael Perry, it’s a book about a place on the lake that can make you say “yes” and wonder “why” in the same thought.